17 1/2" overall. 11" 1075 high carbon steel blade with black epoxy powder coating. 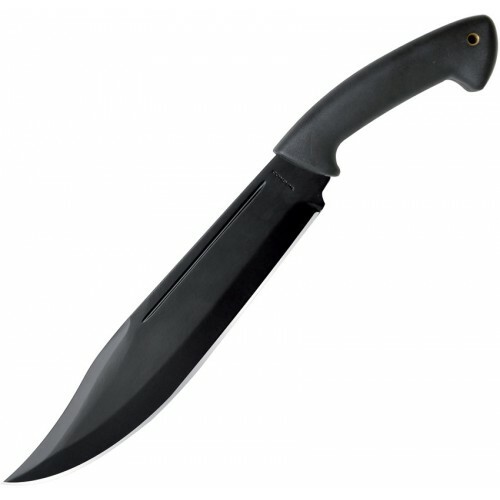 Black polypropylene handle. Lanyard hole. Black leather belt sheath.